You might be a coach training your football players or maybe a manager at an organization looking to create a strategic plan. In any case, you may find it worth using some unconventional methods for presenting your ideas, such as with the help of PowerPoint Templates that can help you display your ‘Game Plan’ in style! 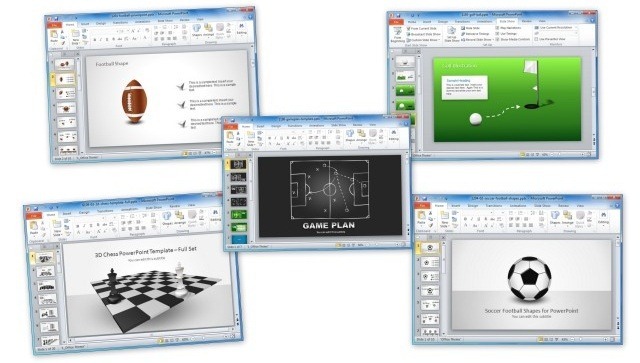 Game Plan Templates are an exclusive set of Slide Model templates that have been designed by expert professionals to provide a comprehensive method for making sports and strategy related presentations for upcoming matches and even business and life events (e.g. where you may be willing to use sports related imagery in a symbolic manner). 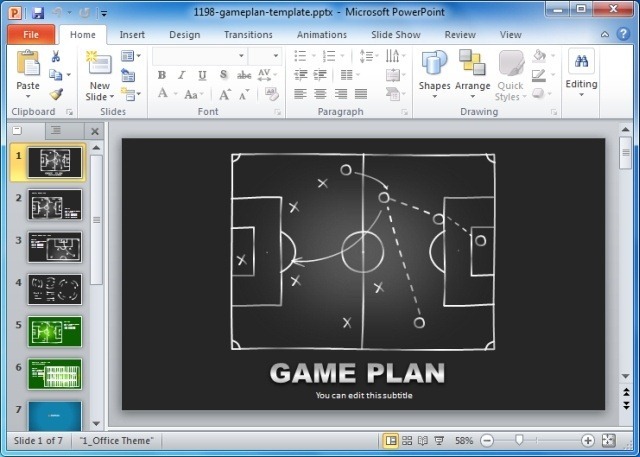 This is a sports themed template which shows a football field with placeholders to create a plan for a football team. If you are a football coach at college or school or a player who wishes to create and share a plan for an upcoming match, you can use this template to share your match winning game plan. 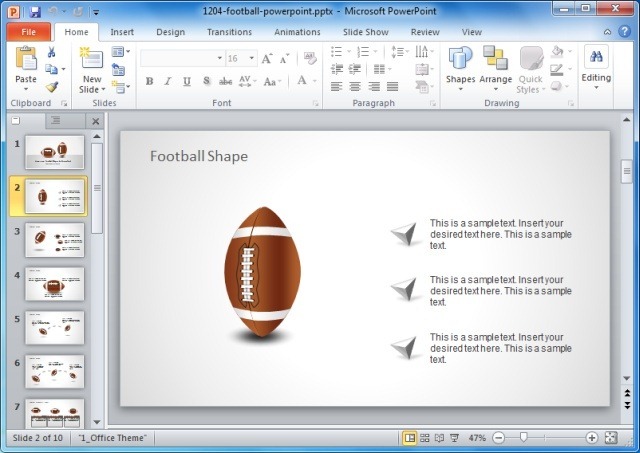 You can use the American Football PowerPoint Template for displaying your coaching strategies or for a presentation related to the game. The editable slides in this template have ample scope for being used for creating timelines, strategic plans, agenda slides and more. 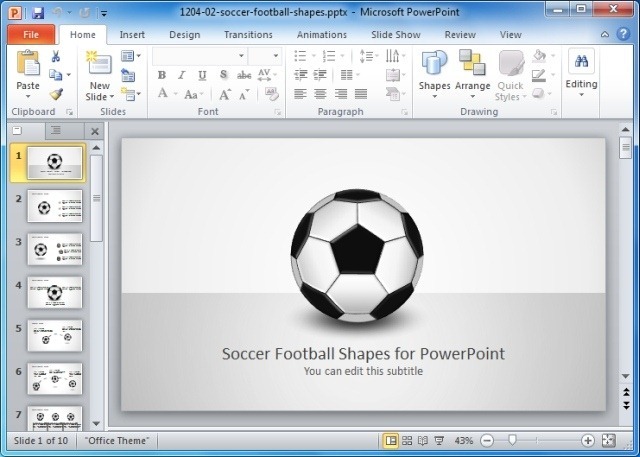 This is a soccer themed sports template which can be used for making presentations about soccer, match strategies, team work, sports events, etc. The sample slides in this template are quite generic, which makes the template usable for a variety of topics related to football and sports in general. Golf may not be the most widely played game in the world but it is certainly a game of class and precision. 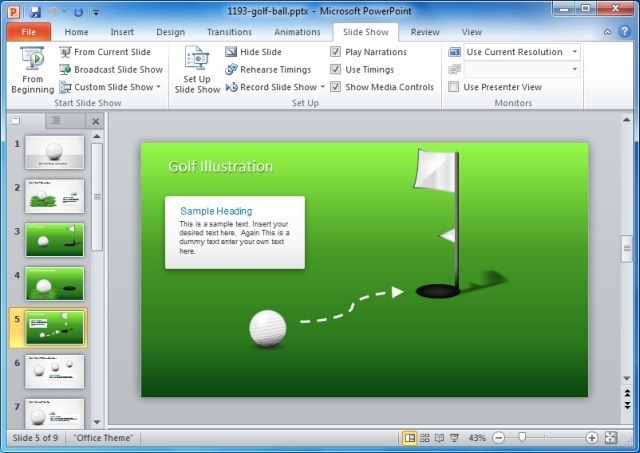 Using this template you can help your golf buddies to get a grip on the game or make a presentation about the game in general, with the help of various attractive sample slides about Golf. If chess is your cup of tea, you can use this template for presenting a presentation about chess strategies, the history of the game or your own ‘how to’ about playing chess. 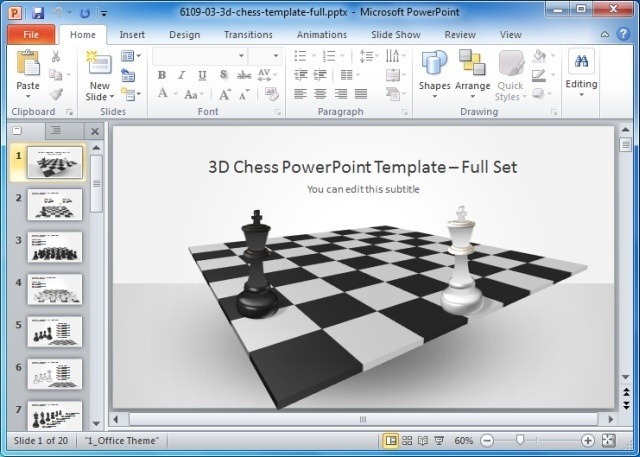 Moreover, you can also use this template for presenting your business strategies while using chess in a symbolic manner. Tags: Analysis Templates, Business Plan Template, Chess, Football, Game Plan, Golf, Presentation, Project Planning, Soccer, Sports, Strategy, Templates.